What a glorious Summer we have had and really still are! 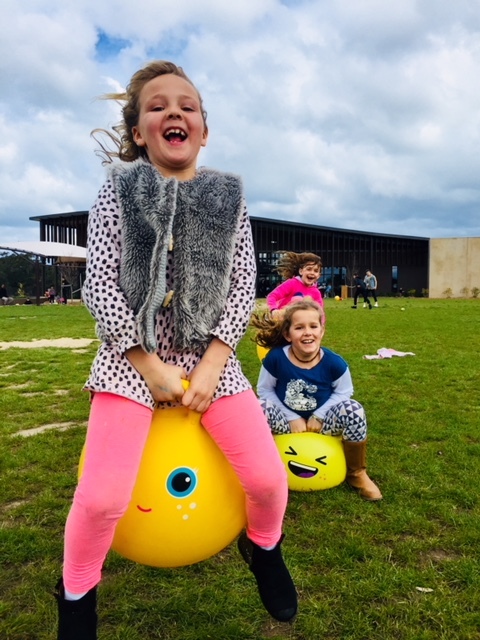 Our lucky Summer guests were blessed with glorious weather for the lazing on the beach, walking in the Otway National Park or even for just lazing around the property taking in the gorgeous country valley views. While the universe has been kind to us with this stunning weather, the lack of rainfall is becoming a bit of a concern. 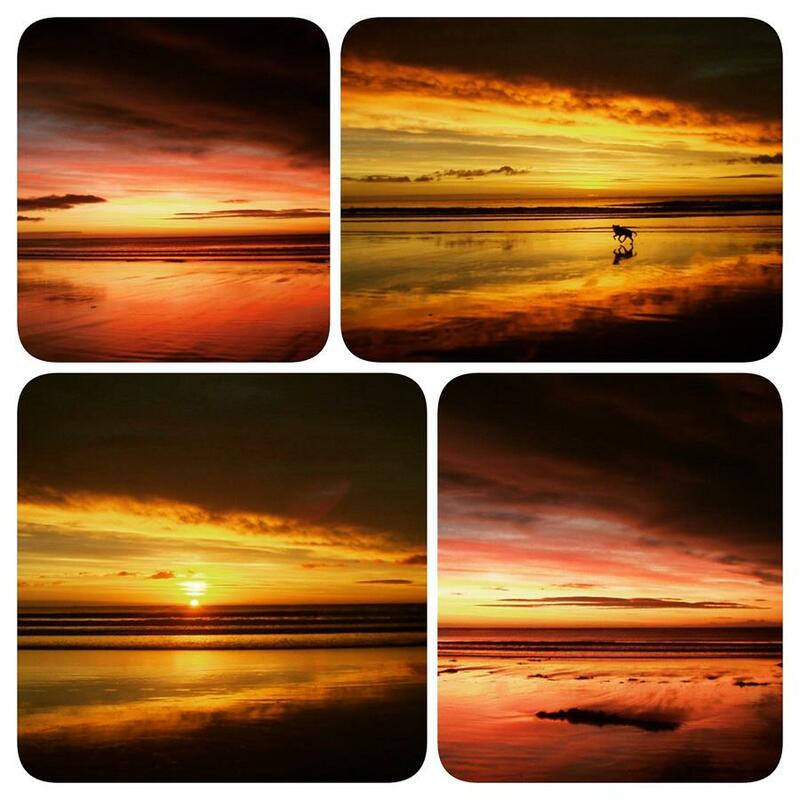 We have experienced mostly warm days and even warm evenings. It has been lovely being able to be outside in the evenings without feeling the slightest chill. Did you know that it is the third warmest summer on record for minimum temperatures! Oh how we have missed you! Welcome back to the Pennyroyal Farm Family! Many of our repeat guests would remember Barn Studio. This super cute cottage just for couples or singles is now back and better than ever. For those of you that do not know, Barn Studio was under the Pennyroyal Farm Cottages umbrella, and was one of our most popular cottages. It has been occupied for the last 2 years by our lovely grandmother Jean. She has since been moved to a permanent care facility so it is now back on the holiday rental market. Barn Studio is a light, airy apartment with cathedral ceilings, huge colonial windows and a delightful courtyard with views to the north. 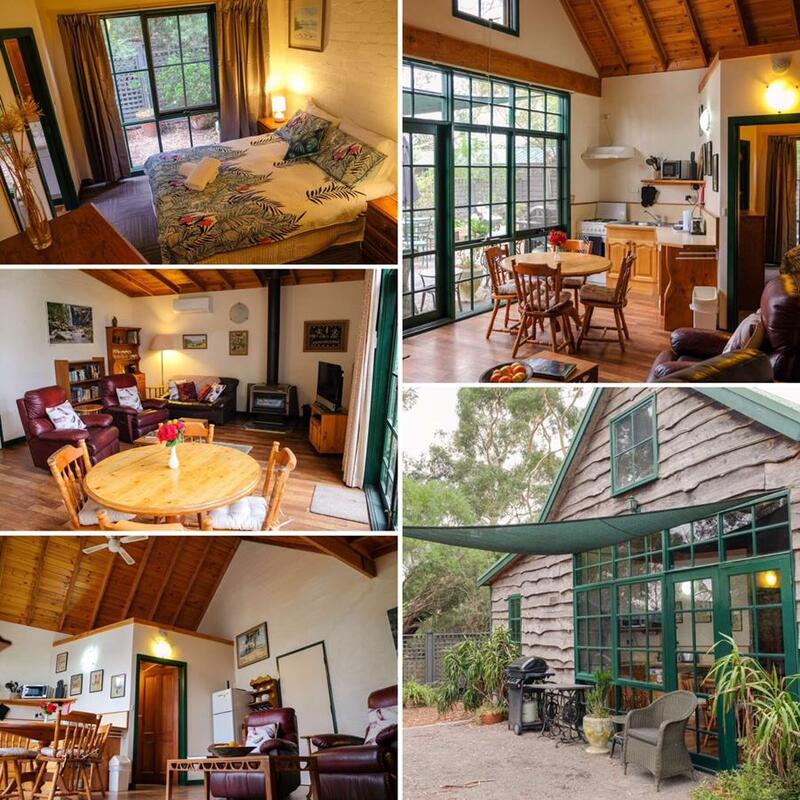 Barn Studio has one queen bedroom which sleeps 2 people, and is now equipped with a full range of FOXTEL channels. 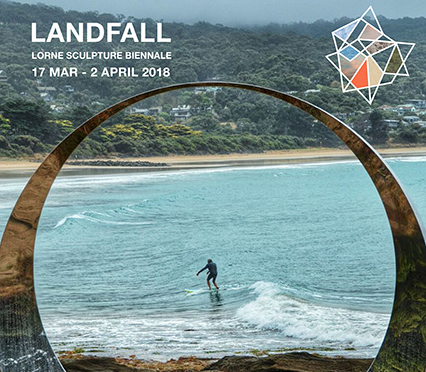 Transforming the stunning Lorne foreshore and surrounds on the Great Ocean Road, the 2018 Lorne Sculpture Biennale, will celebrate the best in contemporary Australian and International sculpture for two weeks from 17 March. The Lorne Sculpture Biennale is the Victorias largest public outdoor sculpture event! Now in its sixth iteration, the 2018 event explores the theme "Landfall" – presenting major works and new commissions from 41 artists devoted to pressing global issues of nature and endangerment. Astonishing sculptures and installations which explore the intersection of nature, humanity and art, created by acclaimed artists from around the world, are situated across the stunning Lorne Foreshore. In 2016 this event attracted over 65,000 visitors! The Sculpture Trail is a 4km- track extending from the Lorne Swing Bridge over Erskine River to just beyond the pier, which can be pleasantly walked, or enjoyed by car or bike. The 2018 Lorne Sculpture Biennale is definitely a must see and it runs from the 17th of March to the 2nd of April. Whether you love it, or dread it, it is almost here. In fact, School Holidays are only a few weeks away. If you have not thought about it, you should book your school holiday accommodation now! Pennyroyal Farm is pet friendly, family friendly, affordable, peaceful, tranquil and memorable. Only 15 minutes from beach towns and bush towns. Don't leave it too long, or you will miss out! Meet Benltey! What a gorgeous pooch is he! Well done Bentley, you are our Pennyroyal Pet of the season. 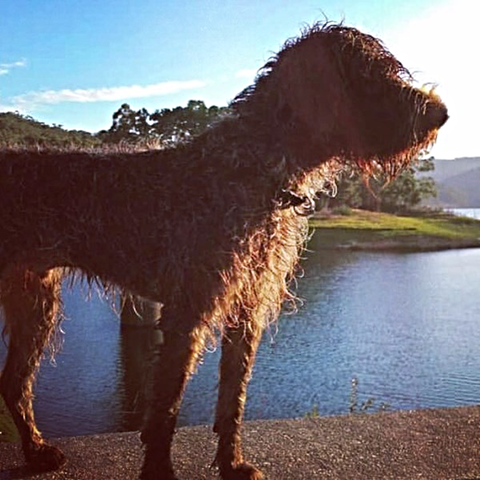 Thank you to Alex and Maya for bringing your gorgeous pooch to the Pennyroyal Farm. Bentley is a primarily a hunting dog lead by his overactive nose! He didn't get into any trouble during his stay with us. Our fences kept him safe and sound. (and kept his owners minds at rest.) He did however show a keen interest to the cows next door. He didn't seem to worry our gorgeous girls though they did keep a close eye on him. We look forward to seeing Alex and Maya and their gorgeous pooch Bentley some time soon. In its 22nd year, the long standing Deans Marsh Festival is on again, welcoming thousands of visitors to our quirky town. With this years focus being cultural diversity, the festival comprises of local foods, displays, music and sporting events - a real fun family day of activities and entertainment such as story-telling, bush poetry, snake handling, frog displays, working dogs and horses, the famous dog high jump, Jack Russell races, market stalls, pioneer games, gumboot and sheaf toss as well as great food and live music. 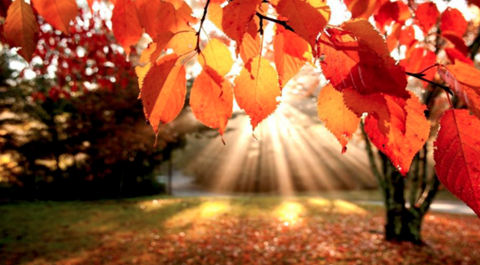 Book your Autumn Escape now!